Keiretsu Capital's Managing Partners and extended team of advisors combined have centuries of experience in successfully backing growth seed and early stage technology companies and in investing in real estate. As a team, they have built the largest angel investor network in the world (Ranked the most active venture investor in the USA) and several have managed multi billion dollar investment funds and firms. Nathan McDonald is a Managing Partner and CEO of Keiretsu Capital. Nathan brings a unique entrepreneurial business and organizational development background developed during many years of hands-on, active leadership and operational experience. As one of the Northwest's leading organizers of entrepreneurial and investor relations-focused media and funding events, he has facilitated scores of engagements and successfully promoted hundreds of privately financed high-growth companies. Matthew Le Merle is co-founder and Managing Partner of Fifth Era and Keiretsu Capital. Matthew grew up in England before living most of his life in Silicon Valley where he raised his five children with his wife Alison Davis. Today he splits his time between the US and UK. By day he is an investor in technology companies and a bestselling author and speaker on innovation, investing and the future having worked at McKinsey, A.T. Kearney, Monitor, Booz and Gap. In his spare time, he enjoys reading, writing and photography. He was educated at Christ Church, Oxford and Stanford and is an adjunct professor at Singularity U..
Randy Williams founded Keiretsu Forum in September 2000 to provide a disciplined and structured approach to angel investing. Mr. Williams’s passion for investing and bringing together like-minded community leaders has created a powerful and giving environment for entrepreneurs. Today Keiretsu Forum is the largest angel investment community in the World. Adam has 30 years in commercial real estate Investing and Management, and has successfully closed over a billion dollars in real estate transactions and overseen hundreds of millions in construction and capital improvement projects from inception to completion. He is proud to lead one of the most seasoned teams of commercial real estate professionals in the Bay Area. His team of asset/property managers have on average 20 years of experience in the industry, and can assist you at every level of your commercial office space needs. He loves the challenge of developing new organizations and am proud to be a founding member and serve on the Board of Directors for the Keiretsu Forum, the Contra Costa Software Business Incubators (CCSBI) and Ag Bid. Barry Heninger is the Managing Partner of Keiretsu Capital Real Estate Access Fund. He has over 25 years in real estate related investment, including previous senior roles with companies investing in multifamily, golf & resort properties, hotel, retail and land development. Prior to joining Keiretsu Capital Barry was Senior Vice President for 29th Street Capital, a national investor and operator of multifamily assets. He was also a partner in Global Capital Group, an Australia based direct investment and advisory firm. He led the international division for ClubCorp, the world’s largest operator of membership clubs and associated properties, responsible for acquiring and operating assets in Australia, China and Singapore. He also established the APAC footprint for American Golf by acquiring assets in Australia and Japan. He has a passion for global investing and lived and worked overseas for over 10 years. Barry holds an MBA from Oregon State University and a BS degree in Finance from Utah State University’s Jon M Huntsman School of Business, where he has lectured extensively on Valuation topics. He’s an avid golfer and has played most of the great courses around the world. He and his wife Shirley have 5 children. Peter is a Principal at DG Retail Partners, the largest (non institutional) owner of Dollar General Stores in the country. He is an active real estate investor with interests in healthcare, multifamily, industrial and office projects. He has been a venture capital and private equity investor in the technology and healthcare fields. Peter is the Founder and CEO of IBP Insurance Services an employee benefits brokerage and consulting firm. Peter has a 30 year plus track record of successful business operation and management and has been recognized by his peers on numerous occasions as an industry and thought leader. Peter’s prior work experience includes time at Price Waterhouse Coopers as a CPA (inactive) and CIGNA. Peter attended Santa Clara University and obtained a degree in accounting. Max is focused on the investment decision making process that leads to Keiretsu Capital investment decisions, as well as ongoing portfolio tracking, valuation and communication. He has a deep interest in sustainable technologies and renewable energy and the early stage companies that are making a difference in these areas. Max holds a BS from the University of Washington and is based in Seattle. Brian joined Keiretsu Capital as Chief of Staff for the Blockchain Fund of Funds, supporting strategic initiatives, investor relations, and fund management. Prior to joining Fifth Era, Brian co-founded Ai Control Technologies, a marine technology company developing autonomous buoyancy control systems. He also co-founded The California Camping Company, an inclusive outdoor recreation management company. Brian brings to Keiretsu Capital 10 years of experience in investment banking, asset management, and real estate experience with firms including Smith Barney, UBS and State Street Global Advisors. He was educated at Fort Lewis College and Boston University. Daniel is focused on the investment decision making process that leads to Keiretsu Capital investment decisions, as well as ongoing portfolio tracking, valuation and commication. Daniel spent 8 years as an infantryman in the Marine Corps before studying finance at Seattle Pacific University. He has a deep interest in entrepreneurship and unique business models. He also has experience with commercial lending, and financial analysis. Daniel is currently working on his MBA at Seattle University. Maggie is the Executive Assistant to CEO Nathan McDonald and the Keiretsu team. Maggie brings extensive experience in administrative leadership and human resources, having previously worked with Redlogic, an Oracle Gold Partner, Callyo, and Romar Accounting. Maggie is proficient in Spanish and holds an M.P.A. and B.A.Sc. from the University of South Florida. Reach out to Maggie if you need assistance with accessing any aspect of our operations and she will get you connected with the right member of our team to assist you. An advisory committee of people with deep institutional investment and asset management experience has been created for Keiretsu Capital. Alexandria J. Albers is a retired Managing Director of Morgan Stanley with a career spanning 33 years. Most recently she was the regional manager for Morgan Stanley Private Wealth Management group based in San Francisco and responsible for one of the largest regions in wealth management. She was a member of the PWM Executive Committee. Her experience includes 8 years as Chief Operating Officer for Morgan Stanley Asia where she was responsible for overseeing operations, risk management, government relations, corporate communications and joint venture relationship management. She was responsible for establishing and executing the firm’s strategic initiatives and the firm’s presence expanded significantly during that period. Prior to her posting in Hong Kong, she worked in London and previously in New York in capital markets, institutional equity sales and divisional management. Presently she is a member of the Advisory Board for Main Management LLC and is on the Board of Trustees for the Fine Arts Museums of San Francisco. She holds a BA in economics from George Washington University. In 2008 and 2009, she was named as one of the Bay Area’s Most Influential Women in Business by the San Francisco Business Times. Alison Davis is an Advisor to Keiretsu Capital and is co-founder of Fifth Era (www.fifthera.com). She is an experienced corporate executive, public company board director, an active investor in growth companies and a best selling author on the topics of technology and innovation. Mr. Goodeve is Chairman of Integral Securities, a leading mid-market investment bank, which is very active in raising capital to emerging growth companies across North America. He has raised over $30 Billion in capital, done 100+ acquisitions, 15+ turnarounds and 10+ IPOs. He has had senior board and operating roles in various public and private companies for leading Venture capital and Private Equity funds, been an advisory board member for 3 funds and is an active venture capital investor personally. He has been a board member of over 26 companies, both public and private, on 3 continents. Mr. Goodeve is the former Co-President of the second largest private equity and venture capital group in Canada. Mr. Goodeve was also an investment banker with a leading Canadian firm where he founded and ran the financial buyer coverage group, and an international strategy consultant with Bain & Company. Mr. Goodeve earned a Bachelor of Commerce (honors) from Queen's University (Canada) and an MBA from the Harvard Business School. Jim is Founder and Managing Partner of The Coast Ridge Group, an advisory and investment firm helping entrepreneurs, corporate and financial investors and executives in emerging technology to be more successful. The firm leverages Jim’s 30 year track record as corporate investment group leader, VC general partner, board member, entrepreneur, general manager, and strategy consulting practice leader. Areas of expertise include: corporate governance and leadership, board of directors and advisors, innovation and venture capital program development and management, business strategy and planning, corporate development, business development and partnerships, fund raising strategy and execution, executive team development and general management. Bernard is Managing Partner of CapGenic Advisors, CFO of Atrin Pharmaceuticals and Chief Business Officer of NovoBioPharma. He is an active angel investor with the Philadelphia Chapter of Keiretsu Forum as well as with Mid Atlantic Bio Angels and Minority Angel Investor Network. Bernie's entrepreneurial career spans a number of startups, three of which grew to over $50 million in revenue before liquidity events. He is a founder of one of the nation's leading entrepreneurial programs (MADV) at the Fox School of Business; director of Operative Experience, Axxia Pharmaceuticals, and RSportz; and has held a number of other board positions - both commercial and not-for-profit - throughout his career. With 38 years of experience in executive-level strategy, finance, and management, Bernie has senior merger, acquisition, capital formation, and licensing leadership experience with companies ranging from startups to Fortune 50s. He has substantial experience investing and guiding investments in entrepreneurial companies and has led capital formation totaling more than $538 million and strategic and licensing transactions of over $7 billion in the past 22 years. Denise founded ApplePie Capital to create a new, more efficient source of capital for franchise businesses. As CEO and Chairman, she oversees all aspects of the company. Denise has more than 20 years of executive leadership experience in business and market strategy development. Her public and private company expertise spans the financial services, technology, healthcare, hospitality and online services industries, and she has led companies backed by leading venture capital firms, including Kleiner Perkins, Mohr Davidow and Sequoia Capital. Denise has founded three other companies, and held executive and management positions with SharesPost, Healthiest You, Navigenics, LesConcierges, OffRoad Capital, Onyx Microcomputer, Post Communications, Kao Infosystems, and National Semiconductor. She has been a guest lecturer at both the Stanford Graduate School of Business and the Haas School of Business, University of California Berkeley. Each Keiretsu Capital Angel Co-investment fund has an investment committee comprised of volunteers from the voting Limited Partners. Edwin has been a Micro-Economist since 1981, started with a small consulting firm, hired by the federal government in 1982, in private practice since 1987. He has 30+ years of applying the economic way of thinking to analysis in natural resources, health care, transportation, strategic planning, negotiations and litigation. Specialties: Benefit-Cost Analysis, Economic Impacts, Investment Analysis (NPV, IRR, ROI), Expert Opinions for litigation, Strategic Planning, Methodology Development, Facilitation, Simulation Modeling, Econometric Forecasting, Decision Analysis. Sean is an active investor and entrepreneur in the Portland Area. He is currently the Vice President of Operations for RS Medical, a medical equipment manufacturer in Vancouver Washington. As a Partner with Accenture, Sean specialized in Customer Relationship Management and Business Transformation programs for Communications and High Tech industry clients globally for nearly 20 years. Sean is a member of the Portland chapter of Keiretsu Forum. Eli is a relentless entrepreneur. He serves as the CEO of Premier Residential. His experience also include roles of Founder, CEO, & Board Member of a number of technology startup companies. Eli is an active angel investor with the Seattle Chapter of Keiretsu Forum and the soon to be open Tacoma Chapter. Steve's unique value add is the focused and collaborative way that he pushes himself and teams to find optimum and reliable solutions to challenging issues. Steve has a broad knowledge of Networking industry products, services, standards, evolution and competition, including cloud models. Steve is an active angel investor with the Silicon Valley Chapter of Keiretsu Forum. Mary Jo is a Board Director of the National Association of Corporate Directors and a Senior Advisor at BDC. She combines decades of experience in company governance, strategy and business improvement. Based in the San Francisco Bay Area, Mary Jo is an active angel investor with the San Francisco Chapter of Keiretsu Forum. Richard is an independent investment banking professional following a fourteen year career as a Managing Director of UBS Investment bank. 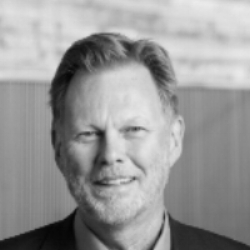 Richard is based in Seattle, and is an active angel investor with the Seattle Chapter of Keiretsu Forum. Les is the improbable combination of collaborator and leader, entrepreneur and seasoned-advisor, open-communicator and trusted confidant, team player and individual contributor. Closely paralleling the lean business movement, he lives by the mantra: do, learn, evolve. Based in the San Francisco Bay Area, Les is an active angel investor with the East Bay Chapter of Keiretsu Forum and Executive Director of the Institute for Entrepreneurial Leadership. Matthias Loening has wide ranging experience in the health sector in the US and international environment. His professional experience spreads from over 50 countries across the globe. He has held Senior-level positions held across major international financial institutions such as the World Bank, IFC and European Bank of Reconstruction and Development (EBRD). Since 2006, Matthias been the Senior Advisor for the Health Sector at the EBRD, where he has supported over 50 signed projects (debt, equity and mezzanine) totaling investments of over $1 bn across the various segments in health including health care services, med tech, pharma, biotech and infrastructure PPPs. Matthias has received undergraduate and graduate degrees from the University of Iowa, an MA from the Johns Hopkins University School of Advanced International Studies (SAIS) and a PhD from the London School of Economics. Keiretsu Capital provides opportunities to a select group of young professionals who have demonstrated interest and leadership in the areas of early stage investment and entrepreneurialism. Justin Rashall is a photographer and web developer originally from the state of Louisiana. He recently finished a three month Web Immersive course at General Assembly where he learned to code. I am the current portfolio management intern. I support the portfolio management team by tracking investments, gathering portfolio company data, and maintaining our internal data systems. I am a current Sophomore at the University of Washington studying finance and accounting with a minor in entrepreneurship. I have an interest in entrepreneurship and private equity investing.